We, Bhardwaj Shipping India Private Limited are Offering Scrap Ships for sale sp if you are also looking to buy ship for demolition then please contact us to know more details from us about our services. Rain Gold Group sources the scrap of old ships and boats and puts them to best use. The company is reputed in the industry for offering the best products and services in the field. 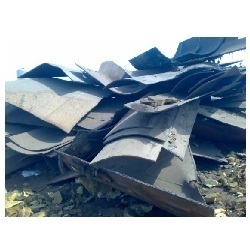 5, 000Mtrs scrap vessel Asking price is $300, 000. Very negotiable. Vessel is at Eko Atlantic and need to be moved with a powerful tug. Q88_MT_LOULOU. You can also go into agreement with our company. We are sell and purchase in all type of iron and steel, M.S. pipe, profile, D.G set. All types of ele goods, cable, ferrous, and non ferrous metal other non ferrous scrap, ship scrap materials, machinery and commission agent. We Deal In Scrap Ships.